I realize SVZ’s should probably be grouped with Sprints and Sprint Veloce’s, but the hand of Zagato and the hefty price tags makes me think they are better grouped with SZ’s. There are never many of either changing hands, likely the result of there being 250 or so of both models combined potentially existing world-wide. There do seem to always be a few changing hands every year -and a few more on offer as evidenced in this post. I still think a late Coda Tronca SZ is my ultimate Giulietta. Market 418 was SZ 10126*00051, a nice one that sold at auction in Monaco for $340,000. Market 379 was this Sprint Zagato Coda Tronca -one of a very few made, and whose number I never caught, with an asking price of 270,000 Euro’s -about $356,000. Market 380 was an unidentified Sprint Zagato with a 300,000 Euro asking price – about $396,000. Market 384 was Sprint Veloce Zagato 750 E 1493* 06184, a stunning example of a SVZ, selling for 414,400 Euro’s – about $546,000! Update 1/2/10: I changed the location to Belgium as corrected by several readers. I knew making obvious mistakes would get some of you to comment! Giulietta Sprint 750B 1493*04045. 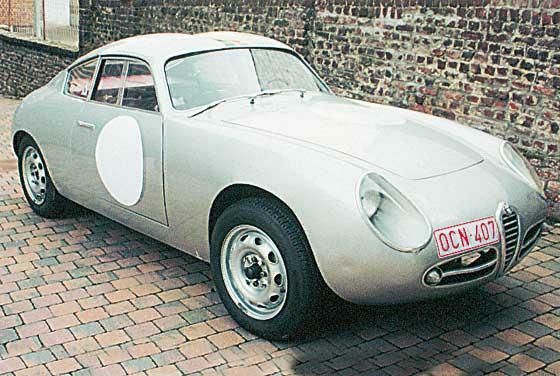 This Zagato rebodied Sprint is for sale in Belgium as an SVZ, no price is stated. I list it as a 750B because d’Amico and Tabucchi do not list 04045 as a Veloce and my SVZ book does not list this chassis as having been rebodied by Zagato ‘back in the day’. What does this mean? Not a lot actually. In the first place several period Zagato modified cars are not Veloce’s, in two cases not even Sprints, but rather Spiders. Second, if you spend 4 hours and read through the whole of the “complete SVZ file” on the Alfa BB you will see that (in addition to a lot of confusion) there are a lot of Zagato bodied Alfa’s in race photographs from the late 50’s that are not identified as any particular chassis number. This leads to the third point, if there are a bunch of unknown cars wearing Zagato bodies, couldn’t you just find a Sprint, rebody it in the style of an SVZ and pass it off? This question leads to the fourth point. Even if it was made yesterday it is not easy or cheap to fake an SVZ and if a legitimate coachbuilder today undertook the transformation of a car to the specification of an SVZ it would be very expensive. How expensive? I don’t really know. You tell me. The last point is: most of the original, known, accepted, documented and indisputable SVZ’s don’t wear their ‘back in the day’ body, so even if a somewhat modern recreation -how different would this car really be? Again, your thoughts please oh wise and comment prone reader. When you look at a car like this you take in little details like the absence of side marker lights, the sliding windows, the shape of the rear quarter windows, the fit of the windshield etc and then go to your history book and try and figure out if any of the blurry black and whites are this car in action. Good times. Oh, and thanks Elmar for the heads up on this one. Giulietta Sprint Veloce Zagato 1493E*06936. 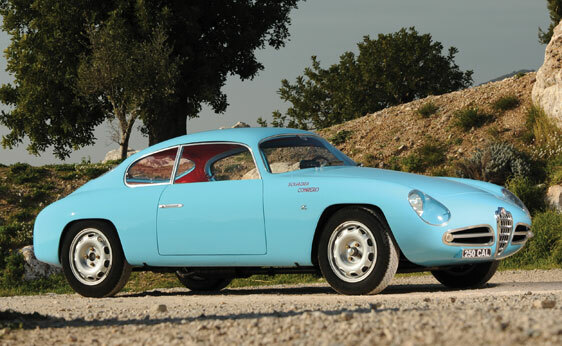 This car is listed on Anamera right now out of the Netherlands. 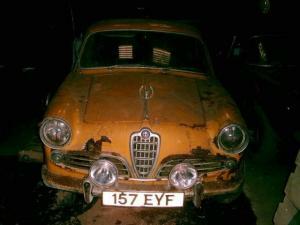 There is very little information given on this car but if you read through ‘The Complete SVZ File’ thread on the Alfa BB you will find some very interesting reading about this car. This is a gorgeous little car. Zagato hand crafted these cars on an individual basis from Sprint race car wrecks. This car was restored by Zagato in the mid 1980’s.